We all are knowledgeable about prewedding customs and rituals. Every bride wanted to have a perfect click with her best friends before her wedding. 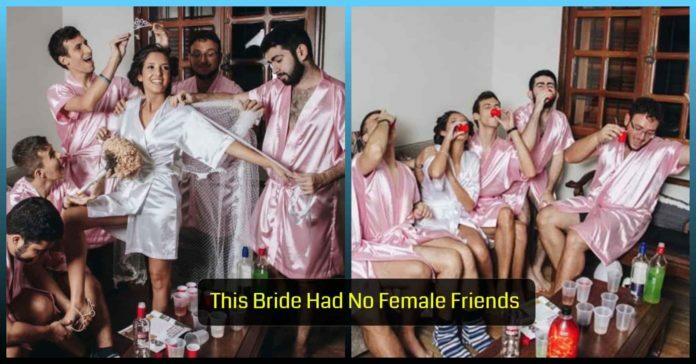 But What if you don’t have female best friends and only have male friends? 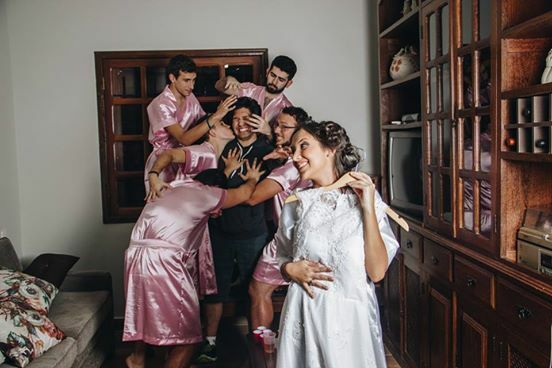 This bride has the same case and gives the world and extremely unusual but a heartwarming photo shoot! Weddings are always turmoil, and as a bride, you need some of your female friends to help you out throughout this ceremony. But Rebeca Abrantes found herself in a tough spot because she didn’t have any girlfriends and only have guy friends. 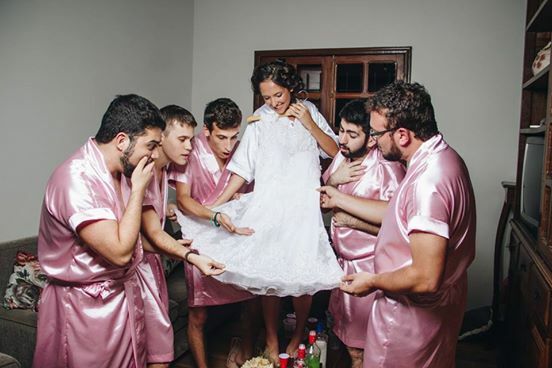 While seeking inspiration for creative shoot ideas, she stumbled upon many brides with their environment of bridesmaids, sipping on champagne or choosing outfits or doing other girly things. Rebeca desired to recreate this idea but had no female friends. Rebeca uploaded those photoshoots on her Facebook profile and she never thought that they would go viral but her uploaded photos have gained thousands of reactions, likes, and shares in next few hours only. 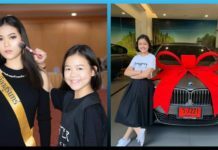 The netizens have gone mad over the results of her prewedding photoshoots and her unique shoot was highly applauded by netizens all over. 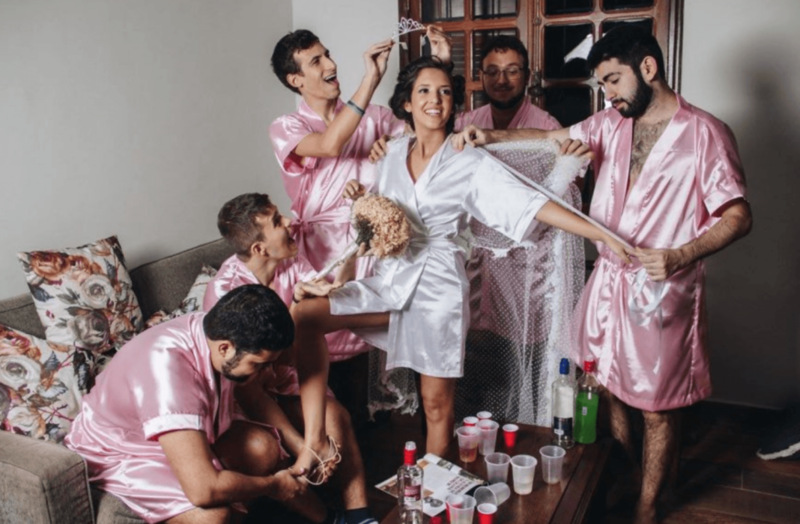 Her male friends were seen dressed in pink clothes, doing grooming activities like facials and shaving, sipping on champagne, and having a great time with the bride. 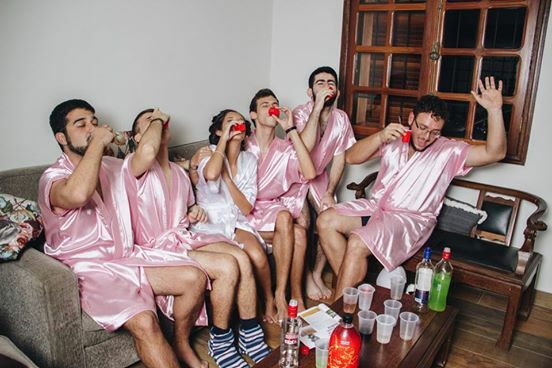 This unique photo shoot with all her male friends has sparked a thought in us to have a look at a different perspective, and we are so glad it has.